There are many slip and fall or trip and fall accidents on stairs or a staircase in Rhode Island during the course of a calendar year. Stair accident Liability is regulated under the same laws and rules for other RI slip and fall mishaps. Common injuries from falling down stairs include fractures, concussions and other injuries. Nonetheless, stairway or stairwell accidents require special considerations which tend to make them more complicated than a slip and fall on ice or falls on slippery substances near a salad bar. 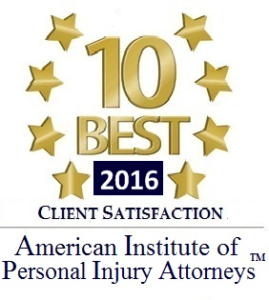 In order to get the settlement that you are entitled to, you must immediately retain one the best personal injury attorneys in RI. 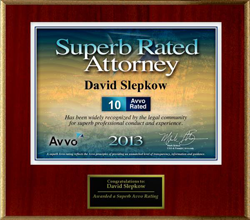 A top RI slip and fall lawyer will battle the insurance company to get you the money you are entitled to. Under Rhode Island law, it is necessary to prove that the landowner or landlord is negligent and at fault for a stair mishap or plummet down a staircase in order for a victim to be compensated for her injuries. In the event of a fall on an elevator, escalator, ramp or incline it is important to speak with a top Providence Slip and fall lawyer with lots of experience dealing with falls on stairs. Property owners such as fast food restaurants, malls, stores, parks and museums are expected to provide proper warning of wet, damp or slippery floors or a flight of stairs on their premises if they knew or should have known of the hazard. In cases when the floor has been recently mopped, cleaned or waxed and is still wet or slippery then owners must put up adequate signage warning of the dangerous condition. In some instances appropriate action may be blocking off the dangerous, icy, slimy or oily area or steps to prevent customers from taking a spill or face plant on the property. A recent waxing or application of wax on a floor could create problems if wax was applied unevenly or haphazardly. The most common areas for slip and fall resulting in serious injury or death is: arenas, stadiums, theaters, parks, playground, construction sites, shops and retail stores. The landowner, landlord, property manager or their agent / employees knew of the defective or unreasonably dangerous condition on the premises (supermarket, apartment complex or department store) but did not take appropriate steps to remedy or fix the defective condition. If the owner, agent or employees exercised reasonable diligence they should have known that the stairs in the parking lot area were dangerous and should have taken appropriate action to remedy the dangerous condition on the stairs. The property owner or employee caused the defective condition or dangerous condition. For example, a waiter at a restaurant spills water, soda or beer on the stairs and then does not towel dry the staircase or put up a warning sign. If a restaurant patron is injured as a result of sliding on such liquid then the restaurant is at fault for such accident. In this event, the restaurant is liable for the failure of its employee to warn of the water or liquid substance on the stairs and failure to put up a caution sign or otherwise attempting prevent such calamity. In the event of an employee tripping, plunging down or slipping at their place of employment, while working, then the injured worker may have a Rhode Island workers compensation claim. Workers compensation in RI is a no fault system in which the injured employee is not required to prove negligence on behalf of his or her employer. In the event that you are injured while in the scope of your employment then you should hire a top Providence workers compensation lawyer. The following types of injuries may result from a slip and fall: herniated disk, broken / fractured bone, back, neck, foot, spinal cord injury, leg injury or traumatic brain injury (tbi). “A slip and fall or trip and fall cause of action usually involves the property owners or occupants failure to maintain the real estate in a safe manner. It can also involve failure to fix an unreasonably dangerous conditions on the property of which they either knew or should have known about. Premises liability in Rhode Island is not just limited to slip and fall but also includes: dog bites, tripping on uneven surfaces, asbestos exposure, mesothelioma, lead paint exposure, Inadequate security measures enabling assaults,falling merchandise, Sidewalk or roadway defects, Poorly lit stair cases, falling debris, hanging hazards, swimming pool liability, balcony or deck collapses, carbon monoxide leaks, iced entrance ways, slippery or obstructed floors, electric shock due to exposed electric wiring” http://www.slepkowlaw.com/slip-fall-articles. Liability for slip and falls and plunges in Rhode island on snow, ice or sleet. “In her deposition testimony, plaintiff averred that the weather was a mix of rain and snow and that the roads were wet. Greenberg‟s office was accessible by a pair of ramps, as well as by a set of stairs. The plaintiff used the ramps because she was ambulating with the aid of crutches, and her left foot was in a soft cast. Sullo alleged that, after ascending the two ramps and walking across a wooden walkway towards the office door, her left crutch slipped on the wet wood, causing her to fall hard on her left leg and foot. In her complaint, plaintiff claimed that she had slipped on accumulated snow, but during her deposition she testified that the wood surface was wet from rain and snow but was not “slushy.” Quote from Patricia Sullo : v. : David Greenberg. http://www.courts.ri.gov/Courts/SupremeCourt/Opinions/12-69.pdf Id. The plaintiff alleged permanent injury as a result of the RI Slip and fall on the ramp. Comparative negligence in Rhode Island slip & fall. 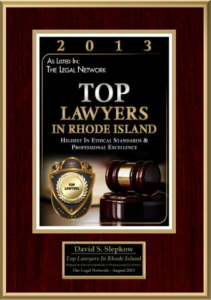 Rhode Island has adopted comparative negligence law. The insurance company regularly uses this defense to attempt to undermine the victim’s RI premises liability cause of action. The liability insurance company regularly asserts that the victim was not paying proper attention as a result of carelessness or distraction. If the person could clearly see the sheet of ice and collapses when they lose their footing, the indemnity company will assert that the pedestrian was negligent, comparatively negligent. A good Warwick Rhode Island slip and Fall lawyer will minimize the injured victims culpability for the fall and establish crucial facts to establish the negligence of the tortfeasor. Sadly, some falls result in a fatality. This leaves the spouse, children or loved ones of the deceased mourning the death of their family member and considering wrongful death litigation in Providence Superior Court. In some instances as a result of malfeasance, reckless actions or a careless landlord, a person could tumble, nosedive or topple down a set of stairs. Falls are one of the leading causes of unintentional injuries in the United States, accounting for approximately 8.9 million visits to the emergency department annually (NSC Injury Facts 2011). 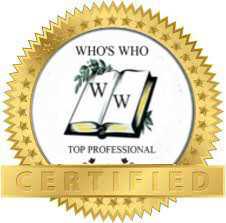 The Rhode Island Supreme Court licenses all lawyers and attorneys in the general practice of law, but does not license or certify any lawyer / attorney as an expert or specialist in any field of practice. While this firm maintains joint responsibility, most cases of this type are referred to other attorneys for principle responsibility.